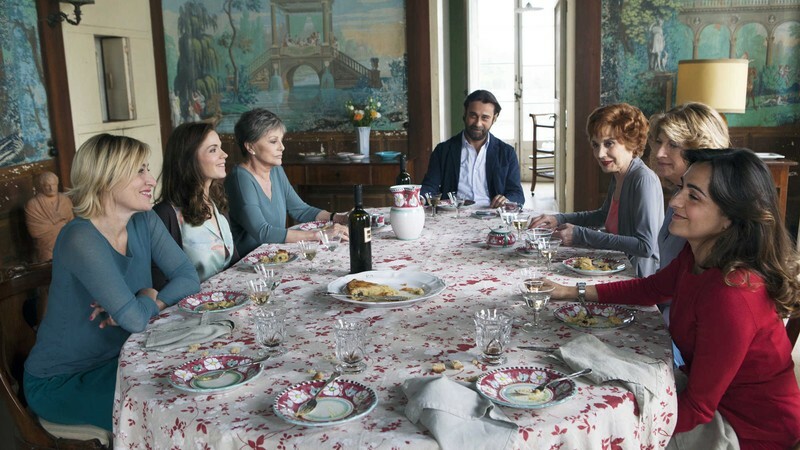 In this vivacious female ensemble comedy, two of the wives and all five known daughters of a womanising movie star congregate in the South Italian sun for a public celebration of his memory. Italy, Spain, France, Sweden and Hollywood are each represented by a daughter: for every phase in Saverio Crispo’s international career, there was at least one partner left with a child. Co-writer/director Cristina Comencini contrasts the fizz of sisterly disputes, showbiz rivalries and survivor solidarity with the earnest critical dissertations and tributes of the official commemoration. In film-clip pastiches revelling in Italy’s movie past, we revisit the career highlights of the feckless departed one. The cast includes the late Virna Lisi in her final role, as the official first wife, and Almodóvar regular Marisa Paredes as the Spanish actress Crispo married during the Spaghetti Western era. Valeria Bruni Tedeschi parodies her own neurotic screen persona as the Parisian daughter, an actress who’s never felt part of the clan, and gradually wakes up to the news that papa was an equal-opportunity evader of family ties.